"So, perhaps it is only fitting that the two parties gathered in Orlando for what has to be one of the more awkward press conferences I've attended in a decade and a half of covering tech. Drawing reporters to the Crave family restaurant on the outskirts of a suburban mall, the Finnish cell phone maker announced plans with T-Mobile to start selling the Astound, a rebranded version of the company's Symbian-based C7 smartphone." The make quite a pair, don't they? This must have been a very uncomfortable press conference, knowing that the dying Symbian and the soon to be reallocated T-Mobile spectrum would have almost no chance at success. 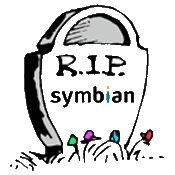 But they seem pretty confident that users will enjoy one final stint of Symbain and T-Mobile. Of course there is much to be seen still with T-Mobile's future. The FCC may kill the AT&T deal. And maybe Nokia can make Symbian co-exist with their Microsoft plans. Who knows, but in light of recent events, it makes you wonder how they can justify the release of this phone. 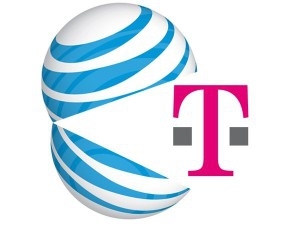 AT&T already announced they intend to use the 1700 band for LTE and those with T-Mobile 3G phones will have to get new phones. I think it would be wrong of T-Mobile to release this phone unless it's right now and they intend to replace it with a compatible phone in the future. Actually, I think that should be applied to anyone buying a T-Mo phone with contract right now.